The O'Jays are an Ohio-based soul/R&B group, consisting of Walter Williams, Eric Nolan Grant and Eddie Levert. With a career that has spanned over 50 years and with Walter Williams suffering from MS, you'd think that these R&B greats would want to take a break, but they show no sign of slowing down with their love of creating music and sharing it with their adoring fans carrying them through. The O'Jays have had a vast and rewarding career and were inducted into the Vocal Group Hall of Fame in 2004, and The Rock and Roll Hall of Fame in 2005. The O'Jays have also achieved ten albums which have been awarded Gold Status, nine platinum albums and ten number one hits. 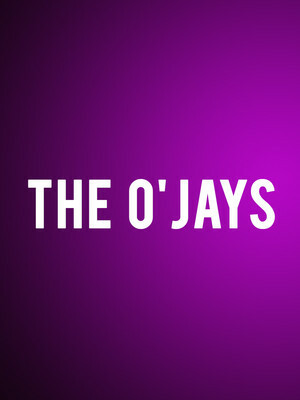 Their glittering success and their undying and untiring passion for music has made The O'Jays one of the most iconic bands in music industry, The O'Jays were also the first black vocal group to play arenas across the USA. Seen The O'jays? Loved it? Hated it? Sound good to you? 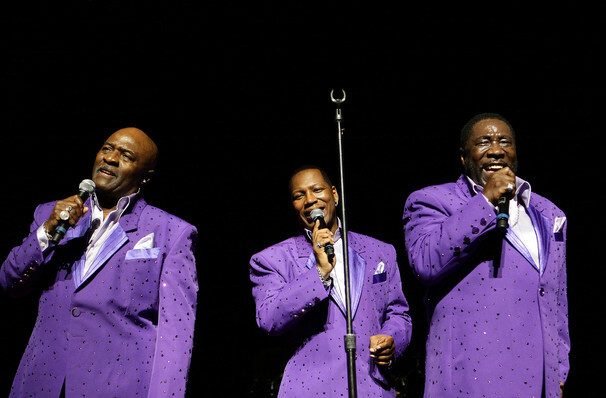 Share this page on social media and let your friends know about The O'jays at Warner Theater. Please note: The term Warner Theater and/or The O'jays as well as all associated graphics, logos, and/or other trademarks, tradenames or copyrights are the property of the Warner Theater and/or The O'jays and are used herein for factual descriptive purposes only. We are in no way associated with or authorized by the Warner Theater and/or The O'jays and neither that entity nor any of its affiliates have licensed or endorsed us to sell tickets, goods and or services in conjunction with their events.